Entrepreneurship is akin to being a superhero: you fight with your alter ego & with your peers, lead a tough life, and in the process inspire many. This article is not exactly a guide towards becoming an entrepreneur, but a combination of personal anecdotes and case studies which are action steps towards becoming a superman entrepreneur. Leaders across the globe have always emphasized on the need of humility which drives entrepreneurship. Entrepreneurs have gone to extreme lengths to be able to develop this trait in them. An entrepreneur from a small town in India once decided to run naked on the streets of his town, just to give himself the confidence that he can go about being a true entrepreneur with zero ego, and face the music in life. He did it successfully, and is now a successful businessman. So humility is important. But this step is not about humility, but about disguise. Its about your ability to have multiple layers in personality, and the right use of the layer depending on circumstances. When there’s a customer on the other side of line who is sulking over some product issues, you need to control your anger over your product team and put the specs of carousal on, before proceeding. Competition drives success. And a true entrepreneur always knows that the market is never going to let him breathe freely. And a smart entrepreneur always knows that it’s advisable to know your competition better than your own business. It’s an age old anecdote shared by numerous leaders. So competition is important. But this step is not just about competition, but about using the competition for your glory. Incept is a multinational SME organization and it has created a business model where every penny earned by its competitors leads to increase in revenue of the company as well. This is a model which has been previously emulated by large corporate houses through vertical diversification- Tata group from India being one of them. But Incept and several other companies have shown that the same can be done on a smaller scale as well. Here we do not elaborate the strategy or the model, but emphasize only on the idea. Use your arch enemy and constantly fight it, and that’s when glory will be yours. Weakness is the quintessential root for ­­growth as an entrepreneur. You know the areas where you are weak, and can accordingly work on those to create the right antidote. This is possible through constant analysis of financial, behavioral, and operational data. Large corporate houses do this and even hire special consultants for the same. A young entrepreneur need not go the corporate way. So knowledge of weakness is important. But this step is not just about understanding one’s weakness, but about respecting and even nurturing it. All of us know the story of King George VI, as brilliantly portrayed in the Academy Award winning movie The King’s Speech, where the King had a weakness, of stammering; and where he used his weakness to an advantage during his famous World War speech. Yes, you must know all about the weakness in your product or your business model, and spice it up in a way that it turns out to be an advantage. That’s how you win every time. An easy way to discard articles like these is to declare that it’s immature to compare businesses with comic books. The critiques are right; analogy between comic characters read by children and adult successful businessmen does look off the track. But that’s the idea here. An entrepreneur is not one who always follows the track. 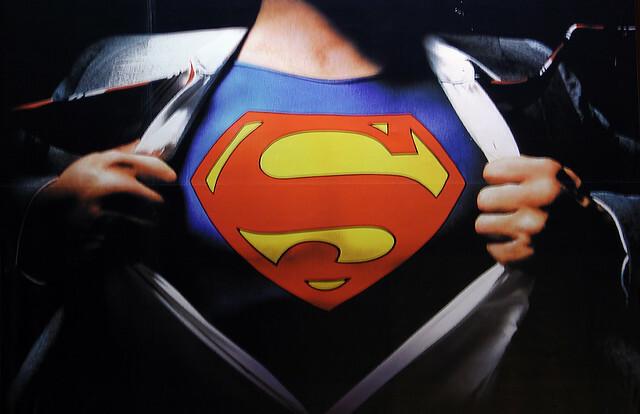 Once in a while, we ought to try becoming superman, because a true entrepreneur is never too far from him. And one example of a real life superman is that of the CEO of Incept, Ashwin Srivastava. Ashwin, a young entrepreneur from Mumbai who has led his company Incept to unprecedented brand popularity in the field of biometrics, recently became victim of a terrible accident. Losing one’s legs is not easy, but one who believes that a true entrepreneur is actually a superhero, always feels like one. And that’s what prompted this entrepreneur to bounce back to the scene of work within weeks of his tragedy. But what this article suggests is that the act of heroics by an entrepreneur is not prompted by any genetic disposition; but by following the right four steps, and by always looking at work with funny tilted glasses. The moment a CEO, an entrepreneur or any other leader, realizes that there are ‘superhuman abilities’ in each one of us, he becomes ready to take risks and is able to take unconventional decisions. He understands that sometimes success goes beyond awesome product or service, and that sometimes it is guided by undying passion. He understands himself and his organization much better. And that’s when he becomes a Superman Entrepreneur. P.S. Pardon the use of ‘he’ and superman throughout the article. An equal parallel can be drawn for ‘she’ and superwoman. This article is a combination of anecdotes and articles from Ashwin Srivastava, CEO of Incept and Guest Faculty at Incept Training Academy, and has been compiled and authored by his team at Incept. Next The 4 Types of Entrepreneurs? Which Type Are You?